Friday was a cold but sunny lovely day. 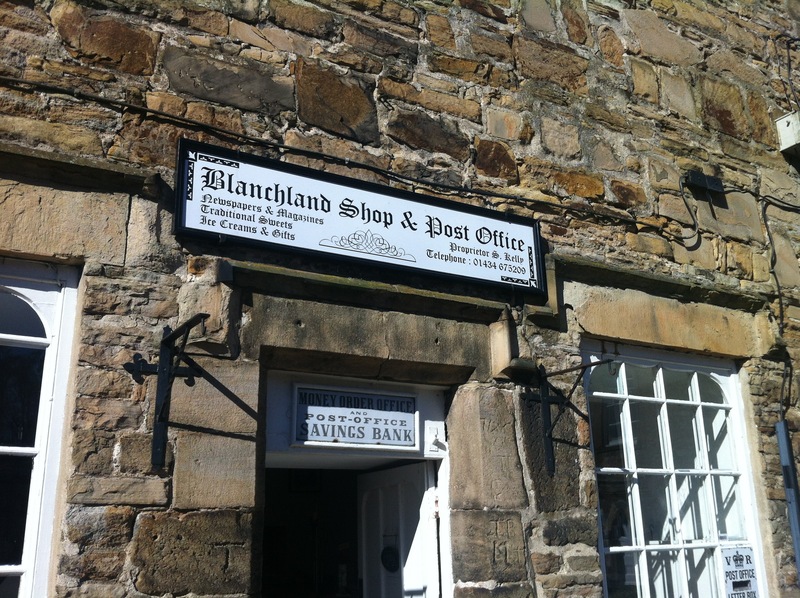 Mr. Ray suggested that we drive up to a village called Blanchland. 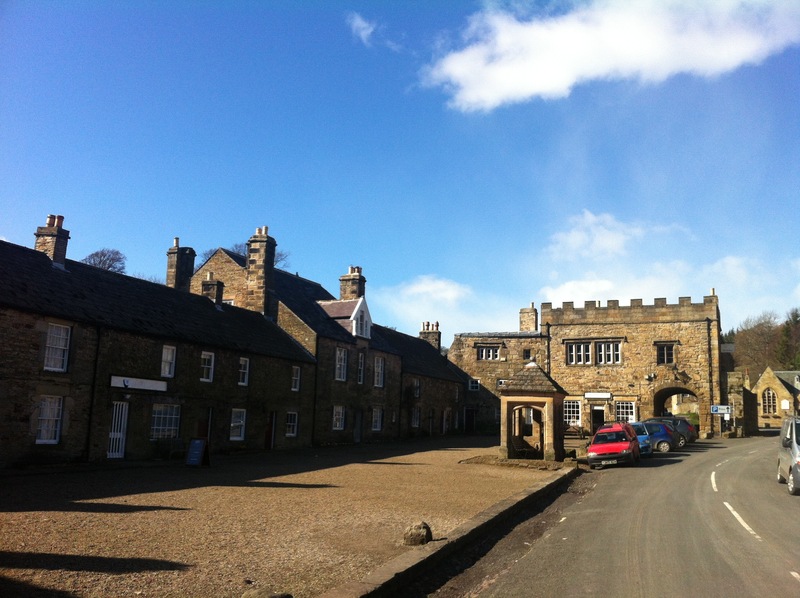 The Abbey and surrounding village of Blanchland was founded by Monks in 1165. It sits almost directly on the border between the counties of Northumberland and Durham. 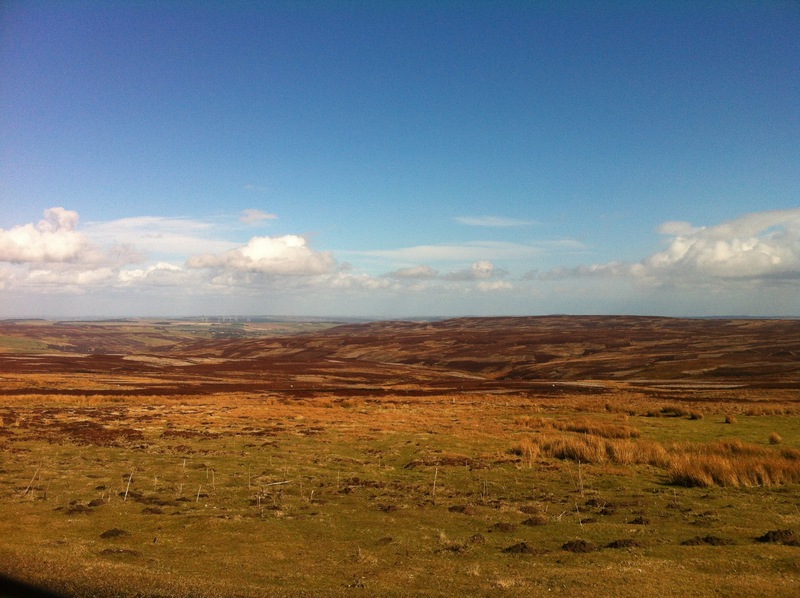 We enjoyed the gorgeous drive up to the top of moors to the village. It was a sunny but brisk day, perfect for a “windshield tour”. We stopped in the Post Office and Ice Cream Shop and heard a bit about the local history and colourful folklore. The Abbey was my favourite bit. I love these stone churches and am amazed to think that centuries of worshipers have crossed these very same thresholds. The drive home was even more lovely as we passed the Derwent Reservoir. This area reminded me of the TVA lake areas in the US. The Derwent Reservoir provides water to Northumbrian Water which is the water supplier we use in County Durham. Along the roads and IN the roads we saw sheep as well as grouse and pheasant. Some of the farmers stone fenced fields still contain “pillboxes” from World War II. These mainly hexagon concrete buildings were used during wartime to house guns and ammunition as well as post lookouts to prevent field landings or parachuting by enemy aircraft. What an interesting part of history right here near us! Rob, I never doubted that your hard work would be recognized with this scholarship! You are blessed, and I know that The Lord is pleased with your choices. Kudos to Beth and the children for sharing this adventure with you. One day there will be steaks and caviar on your table…not necessarily in the next 50 years…but one day!😄Beth, thanks for allowing us to wake up in England each day with you!! We wish all the best for the four of you!! Congratulations! Thank you, Curry. You are so very kind. Will you join us for that fancy meal? Look forward to seeing you when we return!